Find out about the quality of the water at beaches and health risks associated with swimming in polluted water. Check water quality, read beach safety tips and learn what you can do to protect and clean up beaches. > Four ways to get ready. EPA released national recommended criteria in November 2012. Learn about the criteria, EPA's supporting research and stakeholder meetings. Take action and make a difference! Clean up trash and litter at your favorite beach by volunteering at a local beach cleanup event. Visit EPA’s site for beach assessment and management tools and other beach data and reports. 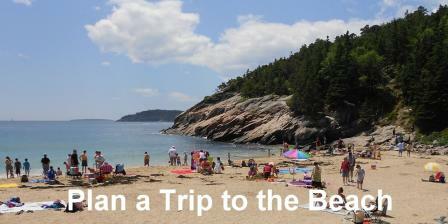 Use EPA’s Plan a Trip to the Beach page to learn more.